After a day of adventure, nothing feels better than a soak in the Glenwood Springs Hot Springs Pool. This pool is famous for being the largest in the world at more than two blocks long. Beyond its magnificent size, the waters of the hot springs pool have 15 minerals that have long been known for their healing powers since the town was settled in the 1800s. The soothing waters have attracted the likes of Al Capone, Titanic survivor Molly Brown and President Theodore Roosevelt. 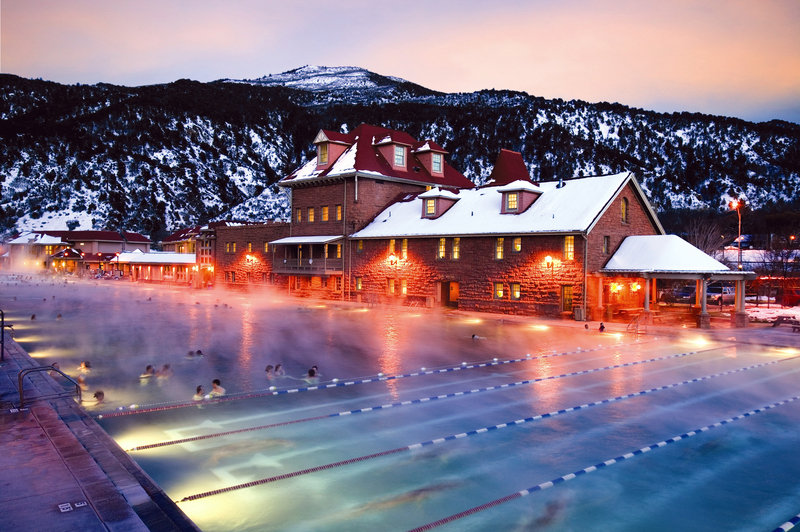 Surrounded by striking mountain peaks, the spring that fills the Glenwood Springs Hot Springs Pool still delivers three and a half million gallons of hot water every day. The pool waters are about 90 degrees to 93 degrees Fahrenheit (30 degrees to 34 degrees Celsius) in the larger pool. There is also a smaller therapy pool, similar to an oversized hot tub, which is about 104 degrees Fahrenheit (40 degrees Celsius) year round. Adults can enjoy a relaxing dip in the evening or the bubble chairs in the therapy pool while the kids play on water slides and diving boards. The Glenwood Springs Hot Springs Pool is open year round with varying rates throughout the day and the season. The Glenwood Springs Hot Springs Pool also boasts a lodge with more than 100 guest rooms, a full-service spa and a fitness center.